We're downsizing again--though this time it's the house and not just the five acres in the country. 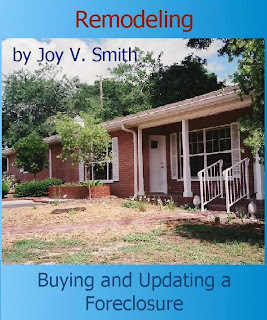 When I built our house in the country--and our mother's house next door later--I kept a diary, bought a number of house books and magazines, did more research and then wrote Building A Cool House For Hot Times Without Scorching The Pocketbook. After moving into the city and remodeling our next house, I wrote Remodeling: Buying and Updating a Foreclosure. Now it's time to get out another notebook and start documenting this process (finding a Realtor, looking at houses, talking to builders, and prepping this house for sale).